A final piece after a busy week, this time in a first time for London’s Evening Standard. A somewhat downbeat piece, part of a series like this over the week that try to take a longer view on the current threat picture. Undoubtedly, there will be more on this topic to come. Spoke to a few media outlets over the past few weeks. To Politico about al Muhajiroun after the London Bridge attack, to the National about the disrupted Sydney airplane plot, to Newsweek about Israel’s views on the war in Syria, and to ABC, ITV, New York Times, Washington Post, Guardian and the Globe and Mail about the Barcelona attacks. A balmy summer’s evening once again disrupted by terrorism. Tourists mowed down as they enjoy their well-deserved holidays. 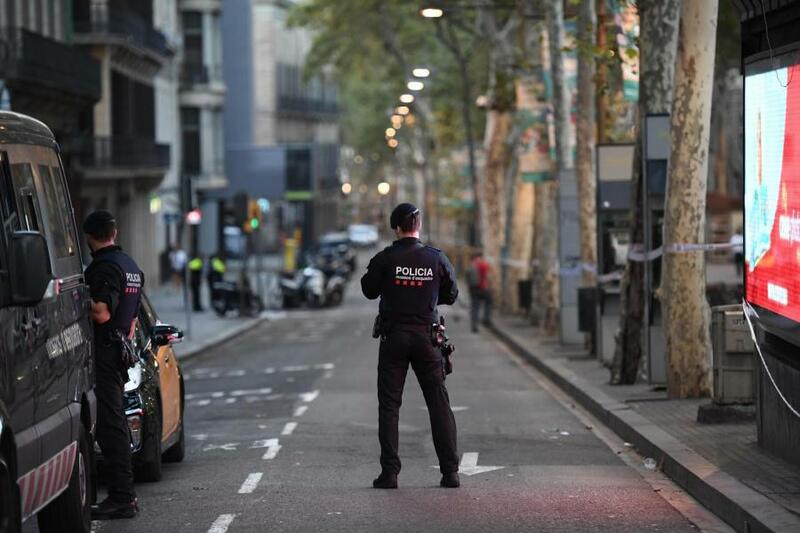 The incidents in Las Ramblas, Barcelona, and later in the seaside resort of Cambrils — and the wider network that is being uncovered around it — reminds us once again of the threat from international terrorism that European cities face. 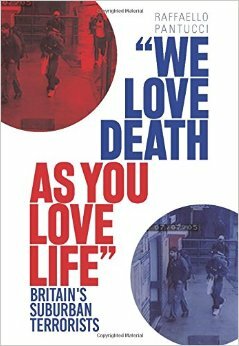 It is only two months since London faced its last attack. It is unlikely that this will be the last. Given that launching an “IS-style” attack is as easy as getting a knife or car and attacking random citizens, suddenly the group has sanctioned a vast range of potential activities. For the perpetrators this model is deeply appealing as it will elevate them from being individuals simply stabbing or driving people down to a holy warrior advancing a global cause. This is a classic win-win, with the organisation and individual benefiting from the atrocity without any particular demonstration of connection beyond the individual having possibly read the group’s material online at some point. 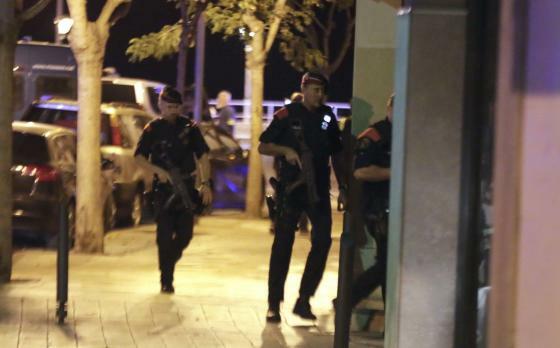 But in this case, the other incidents that authorities have confirmed, including the deaths of five men in Cambrils who were reportedly wearing fake suicide vests and a number of other arrests, suggest something more substantial. 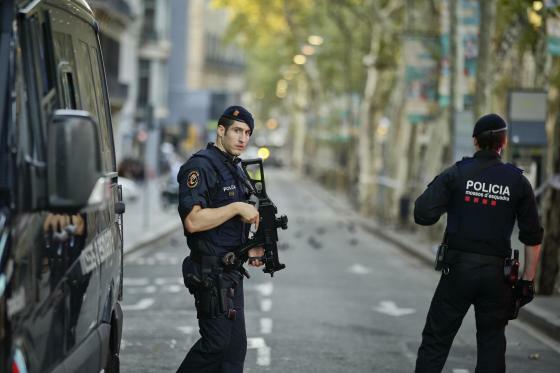 This could be IS, which has claimed responsibility, though it could also be al Qaeda or some other network — Barcelona, it is worth remembering, was the focus of a plot in January 2008 when a cell connected to the Tehrik e Taliban Pakistan (TTP) was believed to be planning a suicide bomb attack on the city’s metro using perpetrators sent from Pakistan. Yet it is not clear that it really matters any more who is responsible for such acts. Jihadist groups may have some sectarian and leadership differences but seen from the victims’ perspective they are all the same. The point is that terrorist groups are substantial and consistent in their desire to launch attacks against us. There is no actual dichotomy within IS or any terrorist group about launching either small-scale or large-scale attacks. These groups are dedicated to their cause and will do whatever they can deliver their brutal message to us. For them, launching small-scale attacks does not mean stopping attempting larger ones. From the security perspective, the appearance of more lower level-style attacks suggests a degree of success by security agencies as it suggests it has become too difficult to get bigger plots through. Understanding attribution when it comes to the so-called Islamic State is not as easy as it sounds. The group has made an art out of spreading its extremist ideas and very basic attack methodologies as widely as possible. This means there are often terrorist attacks where individuals will launch an attack model emulating what is widely perceived as “IS-style”, without demonstrating any particular link to the group, and yet at the same time the group will claim them. Al Qaeda first advocated the notion of using a car in mowing down the public in the October 2010 edition of its magazine Inspire. This methodology was in fact considered too much for the al Qaeda leadership, with Osama bin Laden reportedly reading the magazine in disgust and telling other acolytes that he did not consider this “proper terrorism”. Yet the methodology stuck in its simplicity, and while we saw a number of attempted or semi-attempted attacks deploying it, it was in Nice last year that its success was crystalised. The extremists leapt on this idea and issued repeated declarations in advance of this style of attack. The difficulty for terrorist groups, however, is that as we see this patter of small-scale attacks become more regular, they will lose impact among the public. Clearly, individuals who have suffered directly in such incidents will never be the same after seeing such an incident close up. The sheer brutality of watching random fellow citizens mown down by a truck or stabbed in front of you will leave unspeakable psychological damage. But while the individual may suffer, society overall will move on. And over time, lose interest in such atrocities. This is not a reflection of a lack of humanity but rather of the fact that for terrorism to be effective it must be shocking so the low-level campaign being waged now will lose its impact, something that will make individuals question whether they are willing to sacrifice themselves for this cause. Undoubtedly some still will, but increasingly this will be confused and damaged individuals whose ideological purity will be limited, and therefore will prove to be poor carriers of the extremist message that groups such as al Qaeda or IS are seeking to deliver. This suggests that there is an end in sight for this style of attack. While it is doubtful that it will ever completely disappear (its simplicity suggests it will always prove to be a last resort for desperate individuals), it is also likely that we will see groups pushing towards more targeted or sophisticated efforts to re-assert their authority and deliver their message in a coherent fashion. None of this will, of course, change the misery wrought in Barcelona. Terrorism has been a feature of organised human society for a long time — in Spain, prior to the current wave of Islamist terrorism, the separatist group ETA murdered hundreds in a campaign that lasted decades. But it is not clear that this path is sustainable for the terrorist organisations. While it provides a useful way of distracting security services and raising a cause, with limited broader public effect it is not advancing a strategic goal. This ultimately is what terrorist groups are seeking to do: change the world and persuade us all of their message. If they cannot do this, they will fade away as supporters lose interest in such a clearly losing cause.